Bacardi, a wine company based in Puerto Rico, has been building its reputation for sustainability since 2006. Last year, it announced that it significantly reduced its water and energy usage. It is now taking the next step towards sustainability with the installation of solar skylights, which are intelligently designed ‘windows’ that allow plenty of sunlight into the rum warehouse, helping to keep it warm and nicely lit during winter, reducing heating demand, and the need for electric lighting. Bacardi’s distillery in Cataño, Puerto Rico. Image obtained with thanks from Qz10 on Wikipedia. In addition to that, roof insulation helps to trap that heat gained from the solar skylights during winter. A very energy-efficient combination. 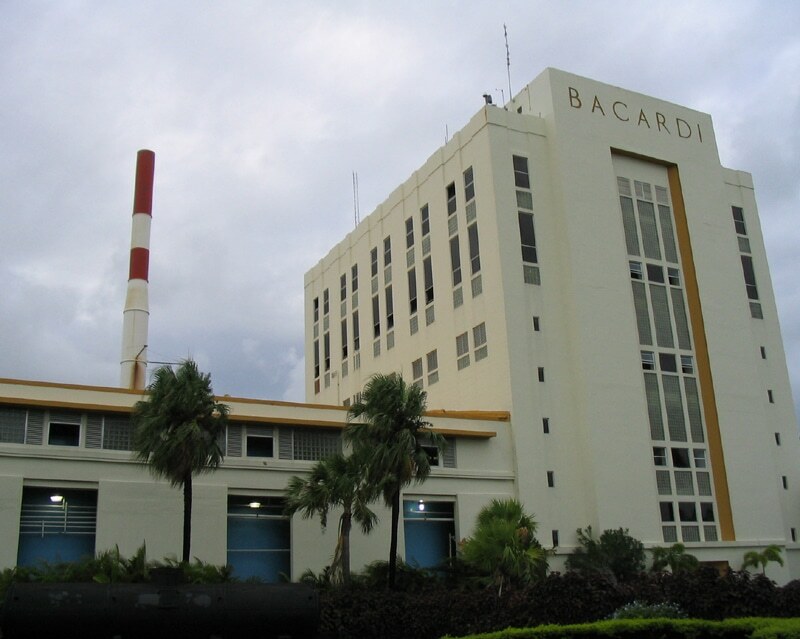 Since it started monitoring its environmental impact in 2006, Bacardi has reduced its energy usage by 25%, and its rum production greenhouse gas emissions by 48%, with the assistance of two wind turbines that can generate a total of 500 kW at its distillery in Cataño, Puerto Rico. So far, its greatest environmental success lies in its water conservation programme. Bacardi has reduced its water usage by 54% since 2006, and it intends to improve on that by recycling an estimated 15,000 gallons of water per day, after rinsing its oak rum barrels. Obtain all raw materials and packaging from sustainable sources or renewable and recyclable materials. By 2017, the company wants 40 percent of its sugarcane-derived products to come from certified and sustainable sources, and 100 percent by 2022. Use eco-design to make sustainability a part of its brand packaging and point-of-sale materials. By 2017, Bacardi wants to reduce packaging weight by 10 percent, and 15 percent by 2022. Reduce water use by 55 percent and GHG emissions by 50 percent by 2017, as well as eliminate landfill waste at all of its production sites by 2022.